Tony Wong 's Lean Manufacturing Concept 's Blog: What is LEAN? From many books and training material, they always introduced LEAN in the meaning from dictionary. Lean was explained in THIN and NO FAT. I do not want to repeat the explanation here but I want to explain it by sporters and believed my readers would be more interesting to read and easiler to understand what I am going to say. The company which is running in lean concept, she looks like a long distance runner. There is no fat in their body but only has muscle. As we know in biology, muscle gives us the power of motion but fat is using to store the extra enegry. For a long distance runners, there is only less than 1% of fat in their body. Fat is only a burden or loading of their motion and waste more enegry to carry it to run. 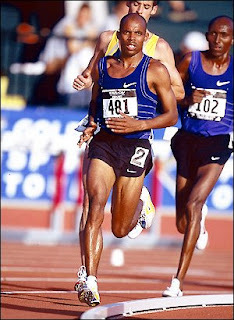 Let say if the runner has 20% of fat in his body, they need to spend 20% more enegry to carry the extra weight to run. They can not exchange the fat to energy immediately during their running because it needs much time to do so. Therefore, we found that all the long distance runner were thin and lean, they are only carrying what they needed on the way. If we only explain lean as thin, it is not correct, because thin can be consider as morbid and healthy. Lean is one kind of healthy thin and can support you for long term success. On the other hand, some aged company has a extreme big size. Explain this case by sumoist, the big company looks like the sumoist in Japan. The sumoist has more than 50% of weight is fat and it gave them a heavy and big size, their competitor is not easy to move them in wrestle. The traditional manufacturing company has the same characteristic, and is working everything in mass batch, there is so many inventory in warehouse, on production line, even in the store of distributor. Running business is more similar to long distance running instead of sumo. Offcause, if the long distance runner fight with sumoist in wrestle, the long distance runner will be thrown out just like a little bird. 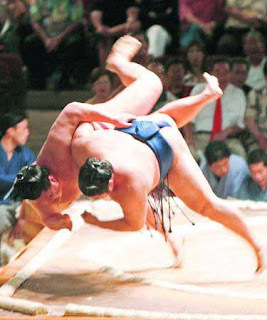 In modern business world, how often the competitors fight in face by face likes boxing or wrestle? They are fighting more likes long distance running, who run slower, who will be the loser! If you are carrying 50% of weight to run, I believed that you can not be the winner. Therefore, that's why so HOT of lean implementation of different kind of industries. The only objective of those companies are only to run faster than their competitors by eliminating their useless weight. Nowaday, lean concept is appling in different industries such as automotive, service and logistic. Actually, I applied lean concept in my life too!